For nearly two months, starting as soon as the kids are out of school, Fry Lodge is going mobile. 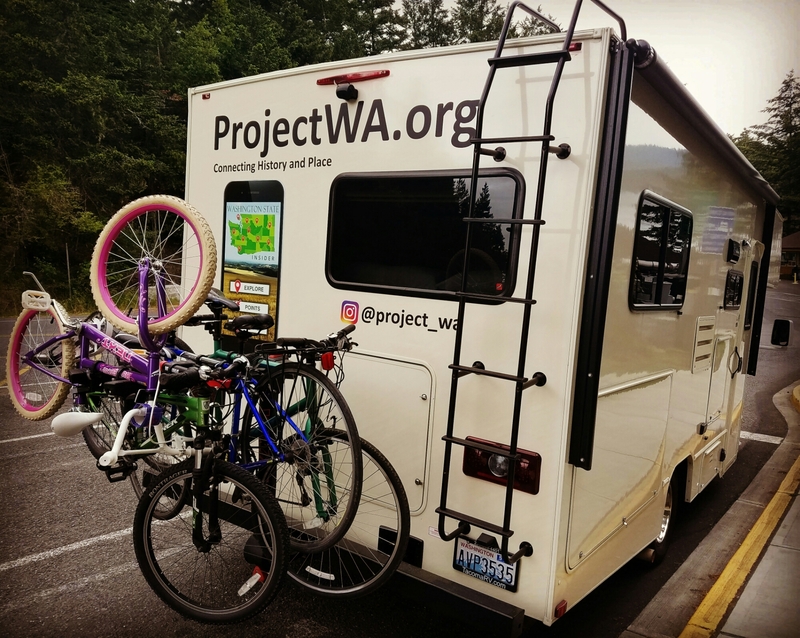 For most of the summer we’ll be living in our RV as we travel around the Pacific Northwest. We’re calling it ProjectWA. 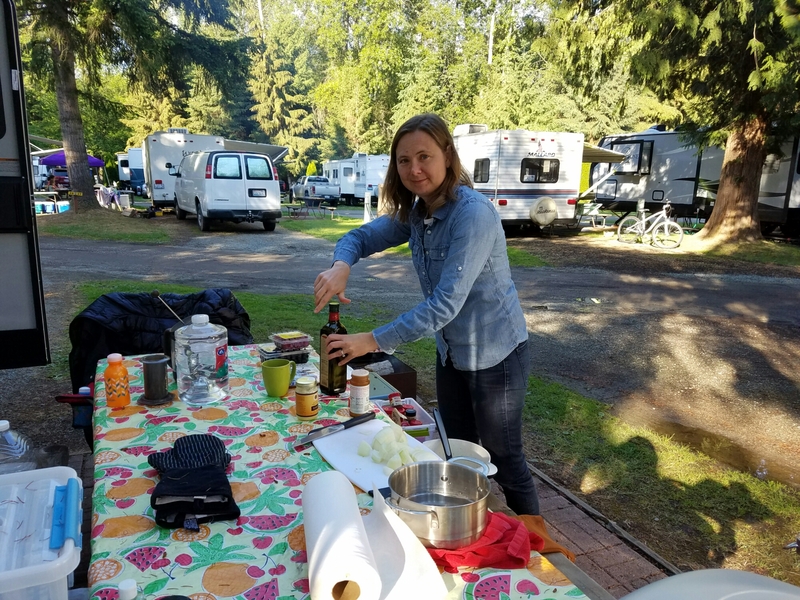 Having never driven, slept in… or emptied the gray water of our own RV, we knew we needed a shake down cruise – to test the systems and familiarize ourselves with RV culture. 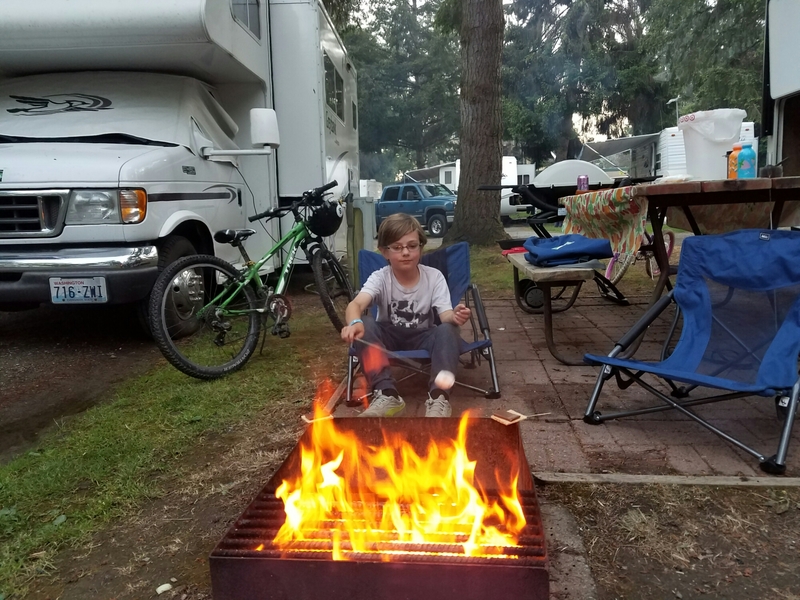 This weekend, we took our motorhome off island and camped for three nights in the Burlington KOA. With the exception of a broken tail light at the very end of our trip, Kristine and I agree that we nailed the shake down cruise. It was just like car camping. Except we had a microwave, hot running water, our own bathroom and comfortable beds to crawl into at the end of the day. 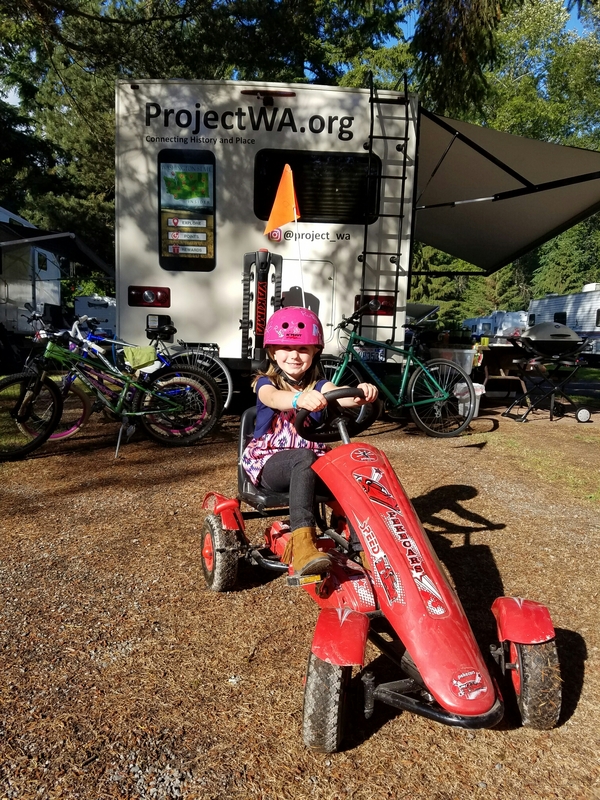 We were surrounded by other RV families, so Henry and Ruby quickly made friends. 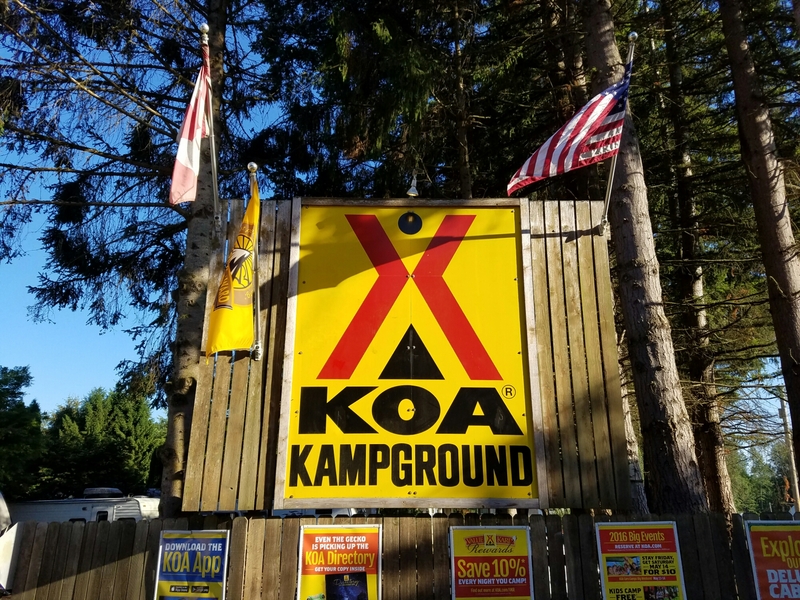 They spent most of their time biking around the KOA property, while Kristine and I got acquainted with power, water and sewer hook ups. By the time we rolled out of camp, we felt pretty confident in our RV skills. 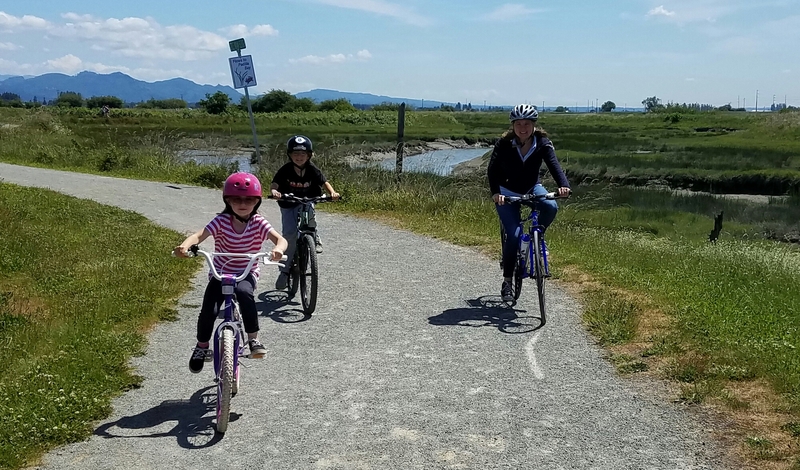 On the way back to the Anacortes ferry terminal, we stopped at the Padilla Bay Bike Trail, where we had a picnic before biking through some beautiful Skagit Valley farmland. It’s baseball season on Lopez Island. Both Henry and Ruby have started practicing. Ruby is playing t-ball. Henry has moved up to the Minor league, after a year in the Rookies, a team that only plays games against themselves. Over the past few weeks, Henry has struggled with whether to go back to Rookies or stay on the Minor team; most of the kids are bigger, older and more experienced than he is. Translation: not much playing time, and stuck in right field. Henry’s decided to stick it out. 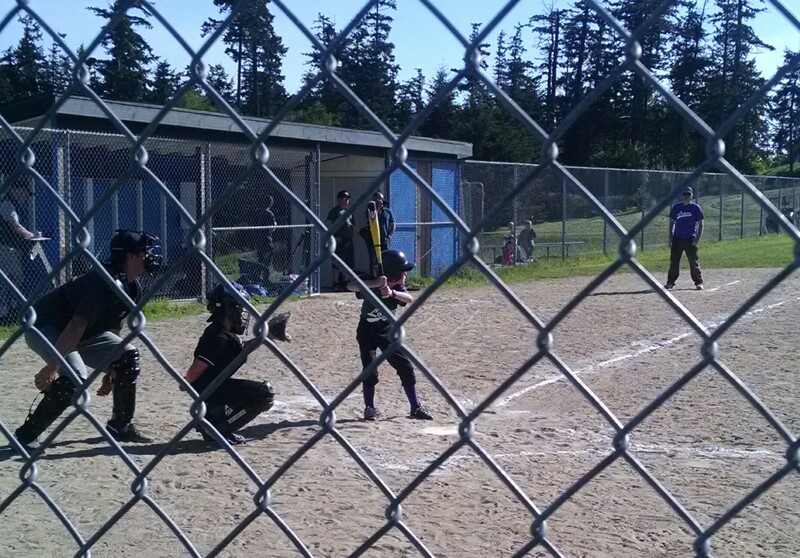 Saturday was his first game – against Orcas Island. With that as background, you can understand why there was a bit more anxiety associated with Henry’s first game of the season. He got up to bat in the 4thinning. I watched with anticipation as Henry walked up to the plate and got into his batter’s stance. The first pitch hit him in the arm, as he crumbled to the dirt in pain. So much for easing his anxiety. 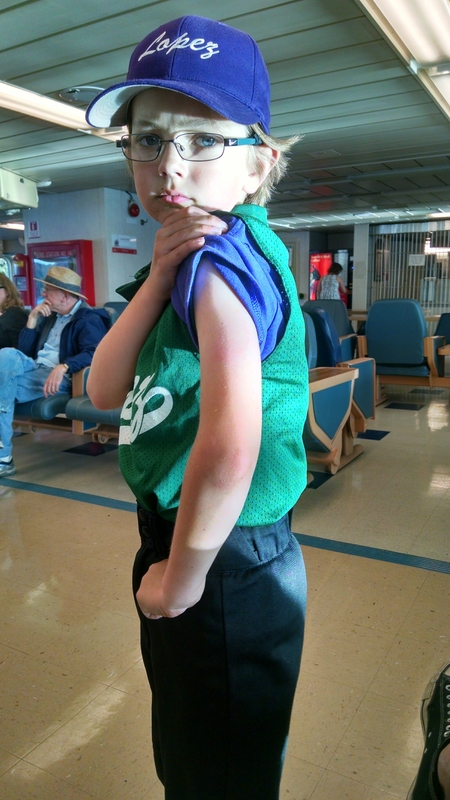 He took his base, but then had to have somebody run for him, as his arm was in a lot of pain. I wasn’t sure if the coach would put him back in, but he did. In the top of the 6th inning (of a 6 inning game), Henry again was up to bat. Lopez was down 3 to 4. Two outs. A runner on first. So much for easing him back into the game. If Henry got a hit, Lopez would stay alive, with chance of a tie or maybe a win. If he got out, the game would be over. Henry courageously walked up to the batter’s box, pounded home plate twice with his bat, and got ready for the pitch. The first pitch was a ball. Phew. Henry connected with the second pitch, but it was a foul ball. The count was 1 and 1. On the next pitch he hit a grounder and outran the throw to first base! The ball was overthrown, so Henry ran to second. A double! I couldn’t have been more proud of Henry. He’d made the tough choice to stay with the Minors, despite lesser ability. He kept a stiff upper lip when hit with a wild pitch on his first at-bat. Then he came back and hit a double. Way to go Henry. 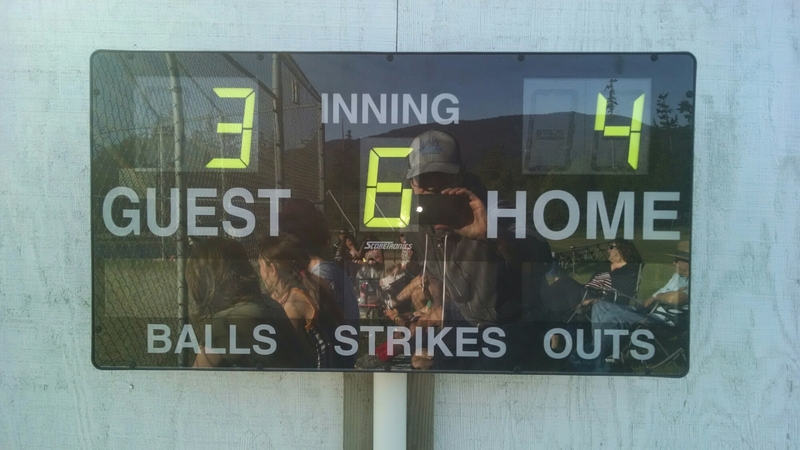 Side note: Yours truly was operating the electronic scoreboard. It was actually only the 5th inning, not the 6th, so the stakes weren’t as high as I’d apparently made them. Ultimately, Lopez ended up losing to Orcas 3 to 4. But all the kids came off the field smiling. Henry’s smile might have been the biggest.